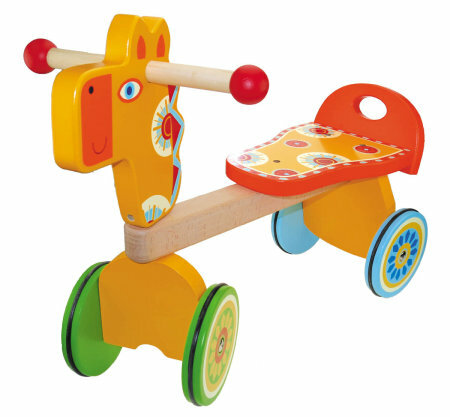 Wooden Toy Ride On Giraffe is a beautifully made brightly coloured ride on toy for small children. This toy is nice and strong and has rubber inlaid wheels for safe quiet operation on wooden / hard floors. A great first sit on toy which is easy to use and nice and stable. We like this because:"Beautiful colors and design, very strong. Clever rubber wheels inserts."